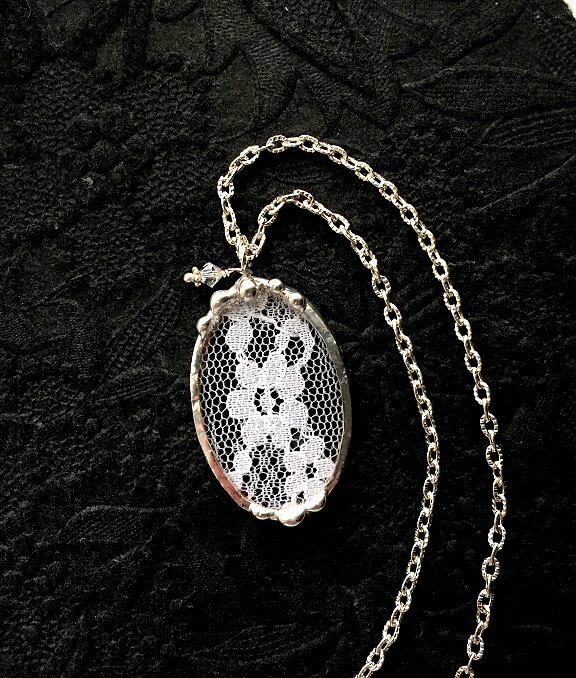 "A remnant of cloth from a baby's first dress, a bit of lace from your wedding veil or vintage handkerchief, a piece of your grandmother's quilt, or perhaps a square from one of your father's ties—what better way to preserve a small snippet of a precious textile than to transform it into a beautiful, wearable piece you can enjoy every day?" 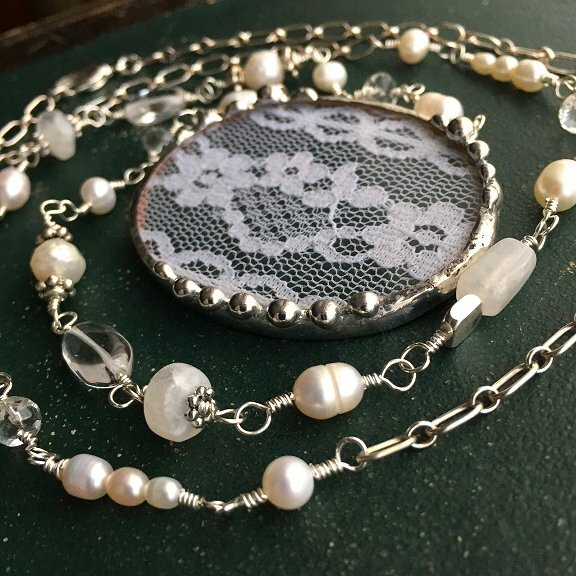 Since my last piece of vintage lace & glass jewelry (learn how in project Lace & Glass Necklace, page 97, Boho Chic Jewelry Book) sold quickly, I figured I probably should list the second one I made in case someone would like it for the holidays. 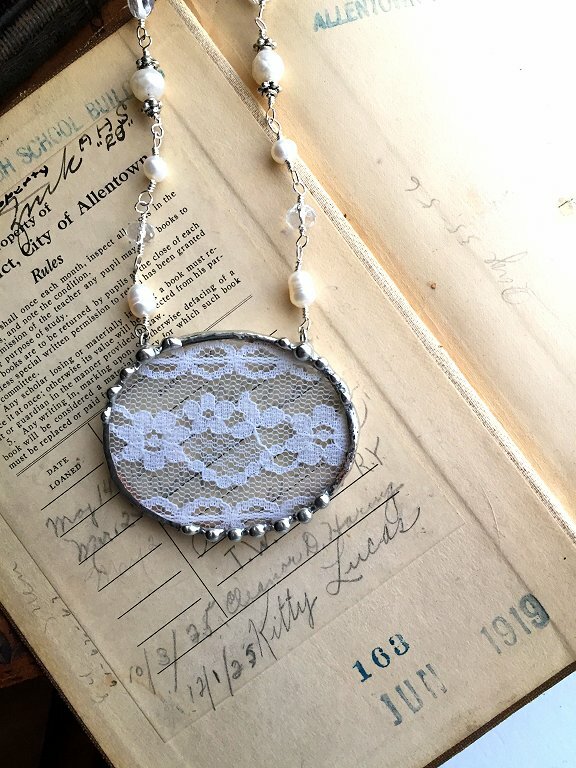 As I've said before, I try to offer a nice selection of different items in my shop, and my vintage lace jewelry seems to always sell out quickly! 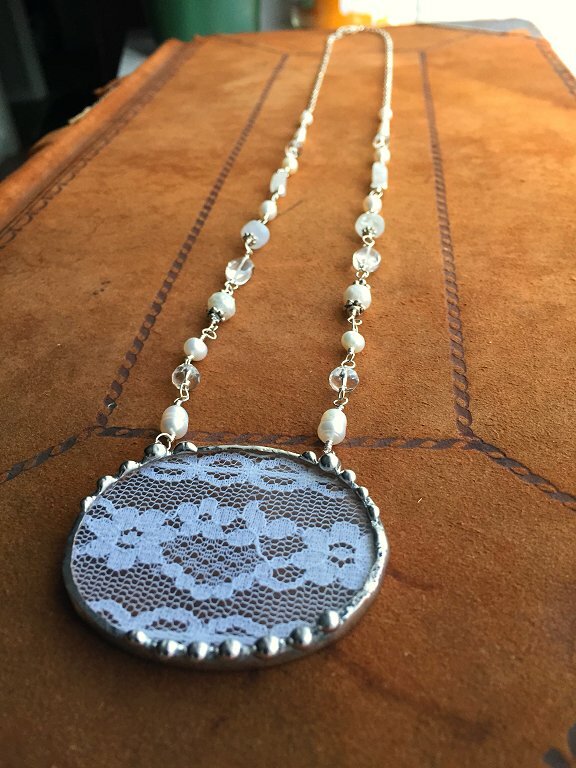 This piece is made with white lace and so it's different from the last beaded one that I just sold. I think this one turned out beautifully too. 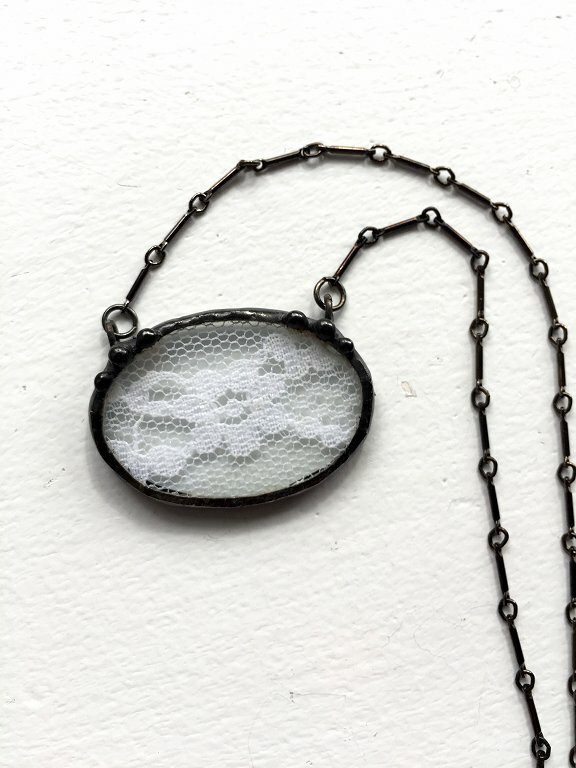 I individually hand-beaded each gemstone link one at a time, and it took me an entire afternoon to put this one together! 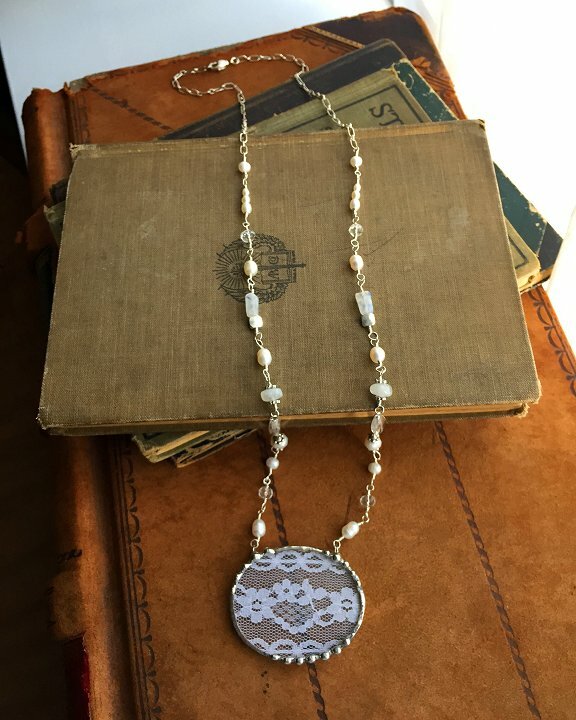 The chain and wires are all solid sterling silver and the gemstones are genuine pearls, rainbow moonstone beads, and quartz crystal beads. 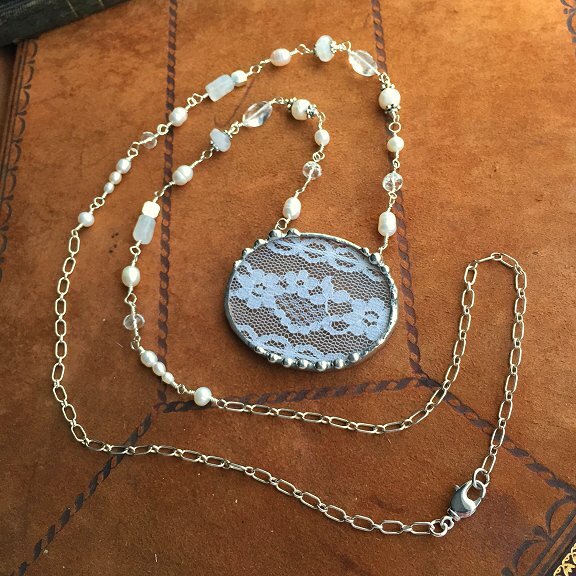 This chain is long and measures about 32" in length and easily slips over your head, though there is a clasp attached as well. 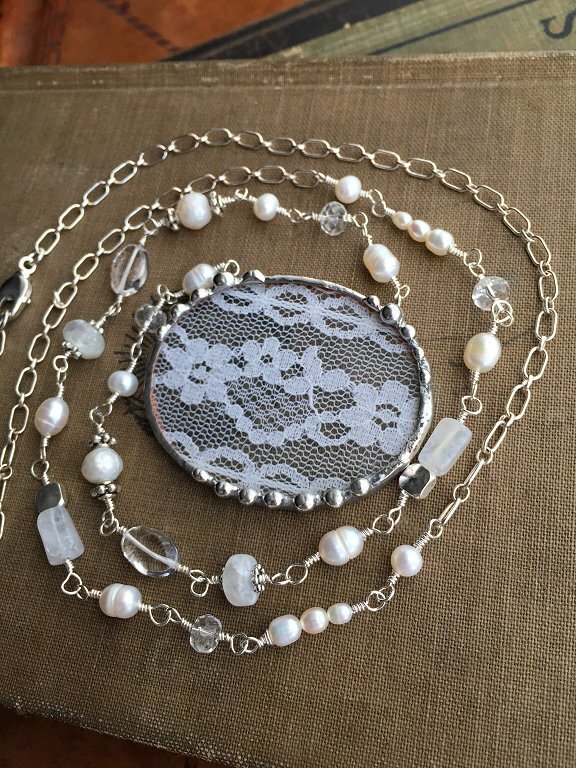 Lace jewelry is great for weddings as bridal jewelry and has a great Boho flair.